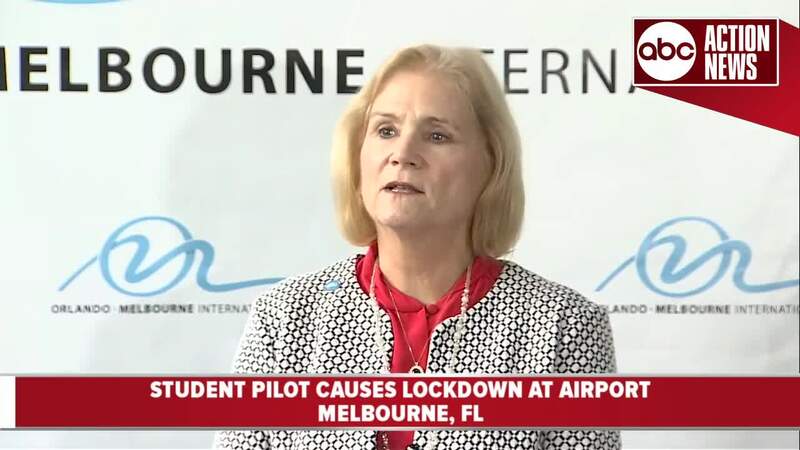 The Orlando Melbourne International Airport (MLB) was placed on lockdown after a student pilot tried to access an American Airlines plane early Thursday Morning. 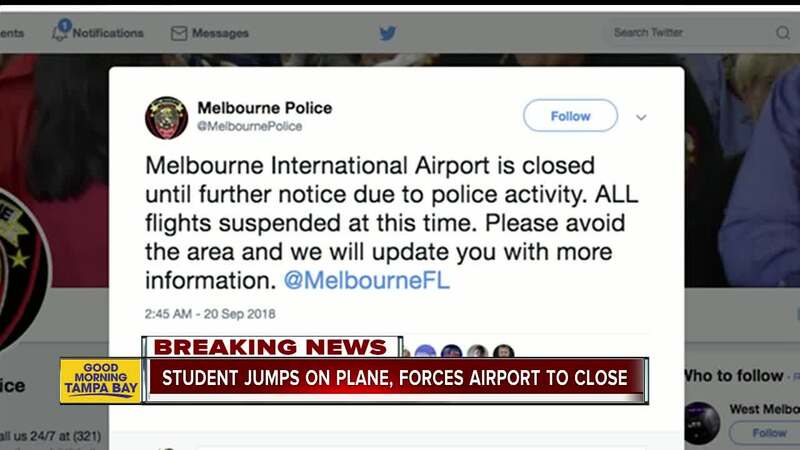 MELBOURNE, Fla. — The Orlando Melbourne International Airport (MLB) was placed on lockdown after a student pilot tried to access an American Airlines plane early Thursday Morning. During a press conference, MLB Spokeswoman Lori Booker said at approximately 2:00 a.m. a 26-year-old student pilot, who has not been identified, jumped a fence and attempted to board a vacant American Airlines Airbus A321 plane, which was not in service and parked at their maintenance facility. Booker said an airport employee spotted the student pilot entering the aircraft and immediately contacted airport police. 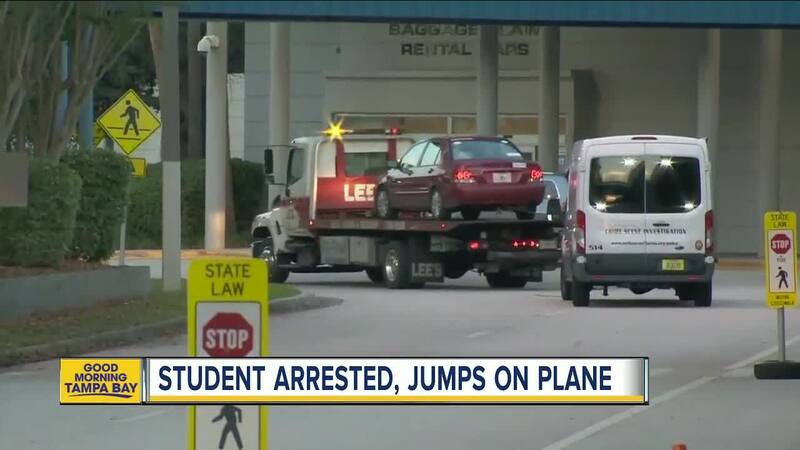 Within two minutes, airport police apprehended the student pilot. As a precaution, all airport employees and passengers were removed from the property and the Melbourne Police Department placed MLB on lockdown. During that time, police did a security sweep and had a robot device check the student pilot's car to ensure there was nothing dangerous inside of it. By 7 a.m., MLB was reopened. Booker said the incident only caused two flights to be delayed. Melbourne International terminals are now open. Check with carriers for flight details. The student pilot is in custody and being taken to the Brevard County Jail. At this time, his motive is unknown. MLB is currently working with the Joint Terrorism Task Force to ensure this is an isolated incident.